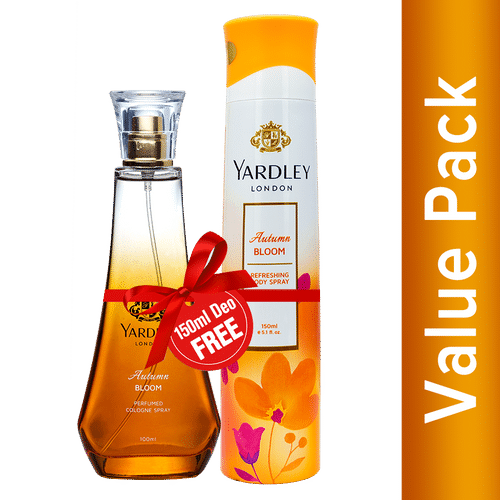 Autumn Bloom -a Perfumed Cologne Spray from the house of Yardley -is crafted to celebrate the individuality of the woman of today. The fragrance is made of layers of rich notes, unfolding to reveal a sublime and delicate experience, with the perfect blend of strength and softness. Autumn Bloom combines the richness of oriental fragrance with the vibrancy of fresh flowers through its top notes of apple and bergamot, heart notes of Rose and apple blossom, and base notes of sandalwood and amber.